Don’t let the recent cool temperatures fool you; we’re still clinging to summer here in Worthington! And what better way to enjoy these last few warm days than participating in a neighborhood bike ride? The Worthington Historical Society is partnering with the Worthington Parks and Recreation Department to present the third annual Historic Bicycle Tours of Worthington on Saturday, September 20. This year’s event, which offers two different rides, has something for everyone. The first ride, which is geared toward adults, will take place from noon to 3 p.m. The route will wind through many of Worthington’s architecturally diverse neighborhoods, including Medick Estates, Colonial Hills, Rush Creek Village, Riverlea and Fox Lane. Guests will have the opportunity to hear from a variety of speakers, including some who have lived in these neighborhoods their entire life. The tour will focus on the unique history of the homes and the neighborhood’s place in Worthington’s past. 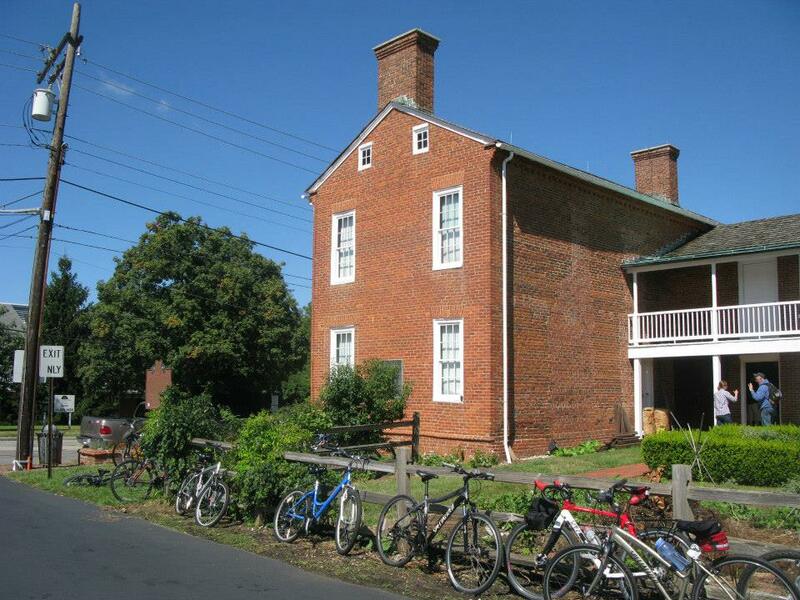 The ride will end with a trip to the Historical Society’s Orange Johnson House where guests will step back in time as they experience one of Worthington’s oldest residences. The second ride, which will take place from 1 to 3 p.m., is full of fun for the whole family! The tour will visit the Orange Johnson House where costumed docents will greet families and invite children to participate in pioneer games in the garden. The tour will also feature several historic destinations on High Street and a stop at St. John’s Cemetery where participants can try their hand at making grave rubbings. Tours will depart from the Griswold Center at 777 High Street. The adult-only tour will include approximately 1 1/2 hours of bike riding. Helmets and water bottles are recommended for all participants. Pre-registration is strongly encouraged. Click here for more info! To stay up to date on everything happening in Worthington, visit the event calendar at VisitWorthingtonOhio.com and “like” us on Facebook at Visit Worthington Ohio.